Chase came home from daycare one day with a big plan. A plan to make a maze for his marbles. He often comes up with fun and cool ideas but needs a little bit of help in figuring out what he can use to bring his idea to life. After making the suggestion of using Duplo, he was all over it! This was a fun activity that kept Chase entertained for 20-30 minute intervals over the course of several days. It was a fun parent-child activity at first but once we got him started, he enjoyed it on his own as well. It was a great way to experiment with physics and encourage problem solving and trial and error. 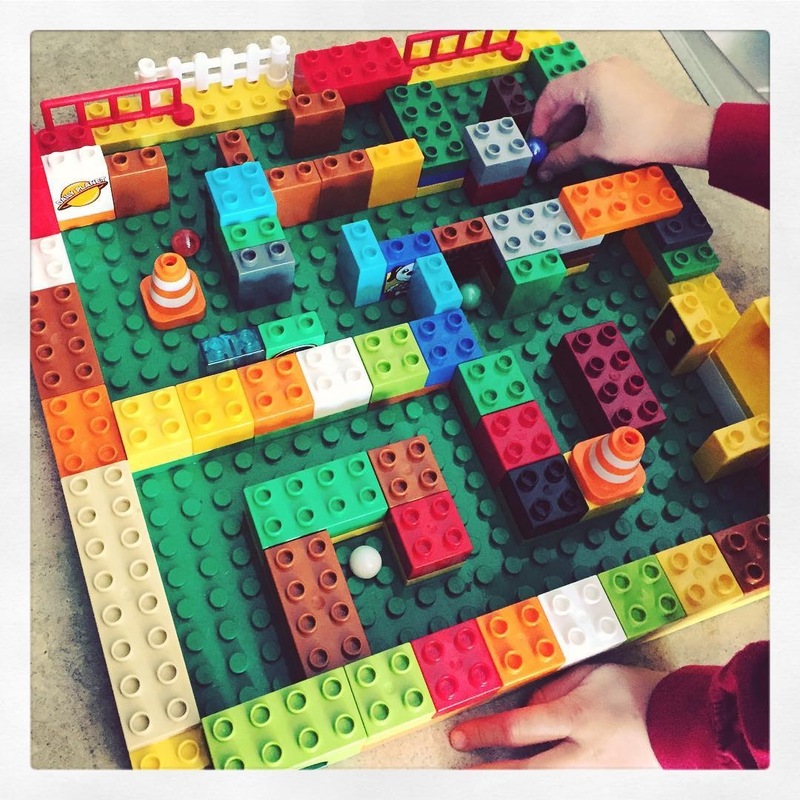 It was a lot of fun to watch our little engineer at work and see how the maze would transform each day creating a new adventure for his marbles. This activity could be altered based on the toys and materials you have on hand but here are some ideas if you love Duplo like us! Follow my Lego Love Pinterest board that I’m always adding to. It’s filled with other neat Lego ideas for the true Lego lover!